Hello and welcome to Guide Tuition, thank you for your interest in our endeavours. 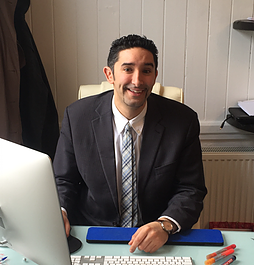 My name is Leon Hady and I run Guide Tuition in Nottingham offering Maths, English and Science tuition. I feel it’s important to offer an introduction not simply into what we do, but why we were set up too, as you’re considering entrusting part of your child’s education to us, so I’d rather you know what the thinking behind Guide Tuition is. I’ve taken students from E grades to A grades in schools and I now spend a lot of time training teachers to teach. I’ve also developed an e-tuition system, TuitionKit, to help learners better prepare for exams from home So, if you were looking for professional credentials, I hope this gives you some assurance that your child will be well taught and rest-assured we cover AQA, OCR, WJEC and EDEXCEL relevant material. I also write for the press occasionally to help parents help their children such as here. Formality aside I set up Guide Tuition to offer quality tuition. I repeat that: Quality Tuition. So, I set up a tuition centre where parents could be assured their child would be taught key items in a positive and engaging manner, with a focus on enjoyment and where needed, exam technique. If students use the time in lessons to add to what they know and learn something new, it will help them towards success. Our tutors in Maths, English and Science all aim to build relationships with students in order to encourage and engage them with the subject matter. This is of course really important for GCSEs, but even more important in KS3 so they have the best foundation to their educational journey. We really want to help improve your child’s abilities in each subject and we are in regular contact with parents with updates and half-termly reports on progress and attendance. I’m very pleased to say that all the hard work has paid off as in 2013/14 and 14/15 we had a 100% A*-C pass rate in English GCSE, Science GCSE and Maths GCSE. In 15/16, with our largest number of students to date, we achieved 99% A*-C.
I’m a father of 3 and know that when the time comes, I will want the best for my children’s education and grades, just as you want the best for yours and I regard myself as being very privileged to be in a position to help your child succeed. Rest assured they will receive the teaching they deserve, from expert teachers and tutors, to best prepare them for the exams and beyond.